Air safety is the primary responsibility of every member and is a prime concern of the I.A.M. Therefore it shall be conceived that one of the primary functions of an aircraft mechanic is the discovery and reporting of air safety problems. 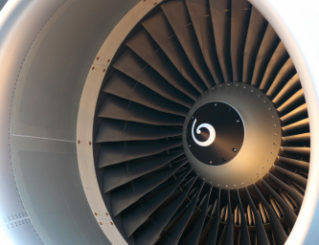 A mechanic will never permit external or internal pressures or personal desires to influence his judgment, nor will he/she knowingly do or permit any member to do anything that could jeopardize the safety of an aircraft. It is further understood that in addition to aircraft mechanics, many other members of our union have a direct effect on flight safety, such as Dispatchers, Ramp Service Stores, and Utility personal. It is incumbent upon the Flight Safety Committee to educate and make all members aware of their contribution to, and for, air safety. It is imperative that the members of the Committee remain focused on air safety without partisan considerations. of all airlines represented by District 142. To protect members to the fullest in FAA and NTSB hearings. The Flight Safety Department has recorded a video to demonstrate the proper way to file an ASAP report. Please check out the video below and don’t forget to contact your flight safety representative if you have any further questions or concerns!! A link to the original article can be found at the end of this post as well as on the Flight Safety Committee page. Listen up, my fellow mechanics. How you record maintenance work just got a new focus, thanks to a recent NTSB decision that presents a potential new enforcement danger to your certificate. The Flight Safety Department has posted an ASAP Bulletin and a new reference guide to the Flight Safety Page. 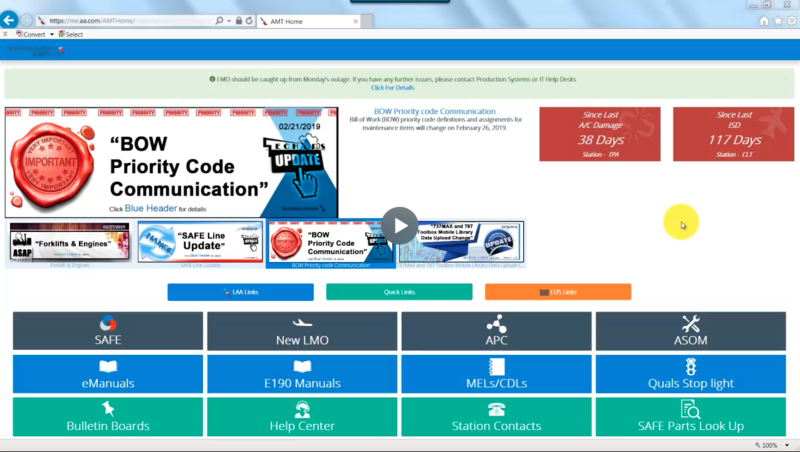 This information is also available on the ASAP JetNet page, the AMT homepage banner and has been released via crew talks (line maintenance only). Please go to the Flight Safety Page and scroll down to view the new documents so as to familiarize yourself with the changes in ASAP. The CLT Flight Safety Committee is conducting a survey of our membership. We are asking you to take a couple of minutes to answer 2 quick questions that will help us serve our members better. Please go here: https://vl1725.org/clt-flight-safety-survey/ and take the survey. It will literally take about 2 minutes of your time. Your answers will be tabulated and we’ll let you know the results at a future date. 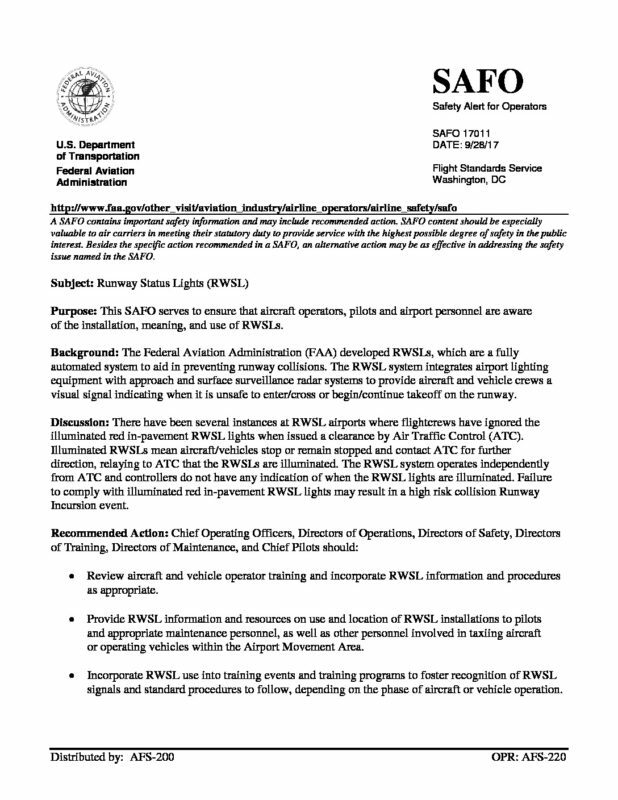 Flight Safety Update: SAFO 17011, Runway Status Lights (RWSL), is now published. All personnel who taxi aircraft are affected by this new FAA release. This SAFO serves to ensure that aircraft operators, pilots and airport personnel are aware of the installation, meaning, and use of Runway Status Lights (RWSLs). Thank You and keep Safety First! 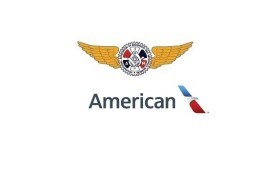 Today, the IAM and American Airlines signed a new MOU on the LUS ASAP program. This new MOU fixes many of the problems we have had with the original ASAP program – most importantly, disciplinary action taken by the company against members who submit an ASAP report. How Do I Get To ASAP? Well we’ve got the answers! Your Flight Safety Committee has put together a slide show/PowerPoint Presentation to illustrate exactly where to find ASAP in our various computer environments. The FAA made a few changes in the past year that we should all be aware of. FAA Administrator Michael Huerta introduced a new Compliance Philosophy that is founded on risk-based decision making.